Rachel Carson's Silent Spring, published in 1962, did more than any other single publication or event to alert the world to the hazards of environmental poisoning and to shape a powerful social movement that would alter the course of American history. This definitive biography, based on personal documents and reminiscences unavailable to others, shows how Carson, already a famous nature writer, became a reluctant reformer, confronting a government and industry that were widely misusing extremely dangerous chemicals, unquestioned by the public. This book illuminates and evaluates for the first time her personal courage in setting forth an ecological vision of humankind's place in the natural world and her contribution to the contemporary environmental movement. It is also the first to describe her personal life, showing the spirited, lonely, and determined woman behind the publicly shy but brilliant scientist and writer. Illustrated with photographs, many never before published, this is a compelling and masterful portrait of a heroic woman who was not afraid to question the political direction of her time. In her nearly 60-year career as a groundbreaking primatologist and a passionate conservationist, Jane Goodall has touched the hearts of millions of people.The Jane Effect: Celebrating Jane Goodall is a collection of testimonies by her friends and colleagues honoring her as a scientific pioneer, an inspiring teacher, a devoted friend, and an engaging spirit whose complex personality tends to break down usual categories. Jane Goodall is the celebrity who transcends celebrity. The distinguished scientist who's open to nonscientific ways of seeing and thinking. The human who has lived among non-humans. She is a thoughtful adult with depth and sobriety who also possesses a child's psychological immediacy and sense of wonder. She is a great scientific pioneer, and yet her pioneering work goes far beyond producing advances in scientific knowledge. The more than 100 original pieces included in this inspirational collection give us a sense of her amazing reach and the power of the "Jane effect." In March 1953, Maurice Wilkins of King's College, London, announced the departure of his obstructive colleague Rosalind Franklin to rival Cavendish Laboratory scientist Francis Crick. But it was too late. Franklin's unpublished data and crucial photograph of DNA had already been seen by her competitors at the Cambridge University lab. With the aid of these, plus their own knowledge, Watson and Crick discovered the structure of the molecule that genes are composed of -- DNA, the secret of life. Five years later, at the age of thirty-seven, after more brilliant research under J. D. Bernal at Birkbeck College, Rosalind died of ovarian cancer. In 1962, Wilkins, Crick and Watson were awarded the Nobel Prize for their elucidation of DNA's structure. Franklin's part was forgotten until she was caricatured in Watson's book The Double Helix. In this full and balanced biography, Brenda Maddox has been given unique access to Franklin's personal correspondence and has interviewed all the principal scientists involved, including Crick, Watson and Wilkins. This is a powerful story, told by one of the finest biographers, of a remarkably single-minded, forthright and tempestuous young woman who, at the age of fifteen, decided she was going to be a scientist, but who was airbrushed out of the greatest scientific discovery of the twentieth century. This volume features substantive biographical essays on 97 world and American women scientists who have made significant contributions to the life sciences from antiquity to the present, with the emphasis on 20th century women. The essays go beyond the basic facts found in standard biographical dictionaries, however. Developmental influences, obstacles faced and overcome, and the efforts of these women to contribute to their chosen professions in spite of sometimes overwhelming disapproval of the establishment come alive in these portraits. Many of the living scientists profiled contributed interviews and autobiographical statements, which adds a vital and unique element to their profiles. Entries, written by 63 practicing scientists and researchers, explain the scientific work clearly in terms familiar to general readers and high school students. Each entry provides a fact box outlining major life events, including educational and career milestones, and concludes with sources for further reading. Twenty-nine photographs complement the text. Disciplines covered include anatomy, bacteriology, biology, botany, embryology, entomology, genetics, horticulture, medicine, ornithology, pathology, pharmacology, physiology, and zoology. Subjects were selected on the basis of historical importance and recognition awards such as Blackwell, Lasker and Watermann prizes, Nobel prizes, MacArthur Foundation Genius awards, and the National Medal of Science. Seen across time and disciplines, the lives of these dedicated scientists can serve as role models for young women pursuing careers in science. 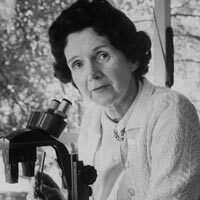 Rachel Carson (1907-1964) was a marine biologist. She wrote conservation bullitens for the U.S. Fish and Wildlife Service, but she is best known for writing "Silent Spring" in 1962. "Silent Spring" which is credited with beginning the modern environmental movement. She earned medals from the National Audubon Society and the American Geographical Society. 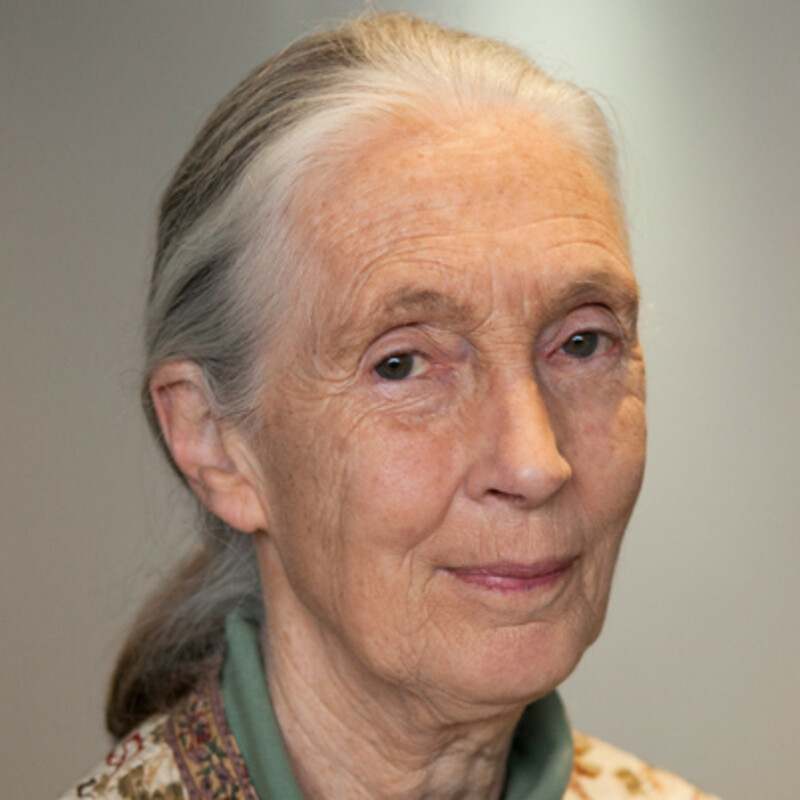 Jane Goodall is a primatologist known around the world for her work with chimpanzees in Gombe. Her approach to studying the chimps, living in their habitat, was considered rather unorthodox. She now spends most of her days educating children about conservation. Rosalind Franklin (1920-1958) is responsible for producing the first photo of DNA. James Watson and Francis Crick famously used this photo to identify DNA's double helix shape. Watson, Crick, and Maurice Wilkins won the Nobel Prize in 1962 for their work with DNA. Franklin did not receive the Nobel Prize because it is not awarded posthumously. Geneticist Barbara McClintock (1902-1992) discovered "jumping genes". She made this discovery in 1950, but she did not receive the Nobel Prize in Physiology or Medicine for her work until 1983.